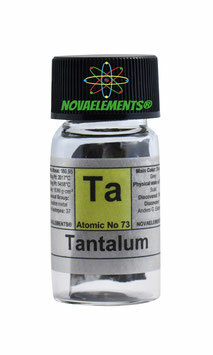 Tantalum is one of the transition metals with chemical symbol Ta and atomic number 73. 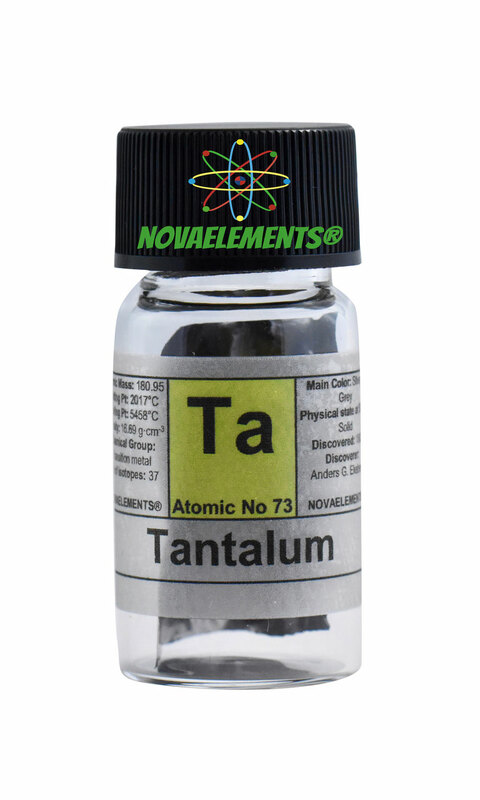 Tantalum is a silvery white solid at normal pressure and temperature. 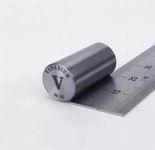 High purity 99,99% Tantalum metal sheet 1,5cm long incredible shiny sample element 73 in glass vial. 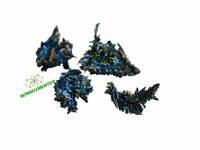 Pure Tantalum element. 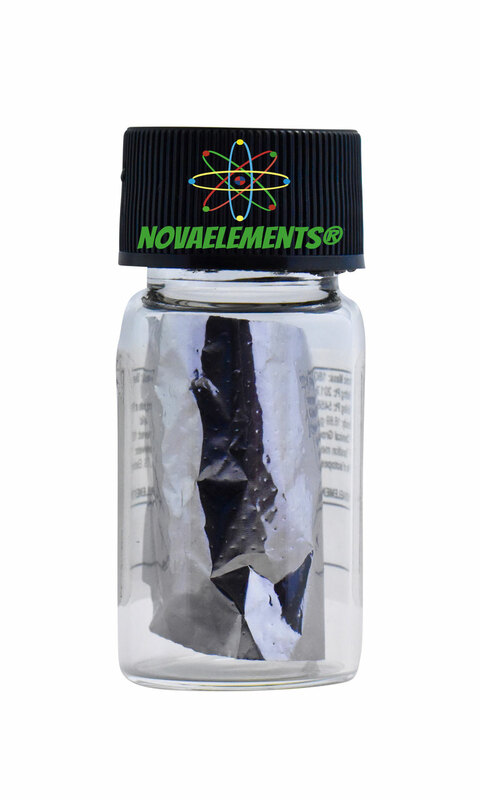 High purity 99,99% Tantalum metal sheet BIG FOIL, shiny sample of the element 73 in glass vial. Pure Tantalum metal sheet element. 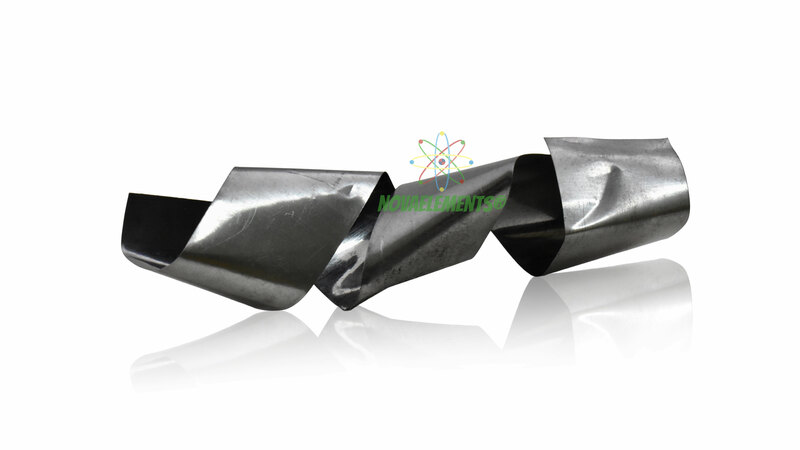 High purity 99,99% Tantalum metal rod, pure element 73 Ta sample.